David Bouley was born and raised near Storrs, Connecticut. Life on his grandparents’ farm made a lasting impact on David. Inspired by their French heritage, he developed an appreciation for cooking healthful meals using carefully prepared fresh ingredients. David worked in restaurants from an early age, spending time in Cape Cod, Sante Fe, and eventually France and Switzerland. After studying at the Sorbonne, he had the opportunity to work with some of Europe’s most acclaimed chefs, including Roger Vergé, Paul Bocuse, Joel Robuchon, Gaston Lenôtre, and Frédy Giradet. Having gained that experience, David returned to work in some of New York’s leading restaurants of the time, such as Le Cirque, Le Périgord, and La Côte Basque. He also spent time working as sous chef in a San Francisco restaurant opened by Roger Vergé. From there, David became chef of Montrachet restaurant when it opened in TriBeCa in 1985. The restaurant quickly drew attention and earned a three-star review in The New York Times. In 1987 David opened his own restaurant, Bouley, in TriBeCa. Bouley quickly became known as the most notable dining experience in New York and set a new standard for fine dining in America. 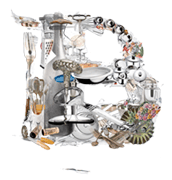 Among many accolades, Bouley earned a four-star review in The New York Times and received The James Beard Foundation awards for Best Restaurant and Best Chef. From 1991 through its close in 1996, Bouley received the number one ranking in both food and popularity in the Zagat Survey of New York City Restaurants. Bouley has the distinction of being the first restaurant in the Zagat Guide to achieve a food rating of 29 (out of a possible 30). Upon closing Bouley restaurant in 1996, David sought to realize his culinary vision of bringing high quality products to an expanded audience. The first step was the opening of Bouley Bakery. With space opening up in the Mohawk Building in November 2008, the Flagship Restaurant moved to its current location at Duane and Hudson Streets, opposite Bouley’s first namesake restaurant of 1987. The Bouley Bakery and Market shifted to the former restaurant space and quickly became a community hot spot offering over 500 freshly prepared items to enjoy at home or in the café. Serving bread, pastries, and other baked goods, as well as meat fish and over 50 hot items created on premises, the bakery catered to over 5,000 guests daily. With the reopening of Bouley restaurant, David moved to focus on his creative signature cooking style and less on retail. The scent of fresh apples that greets diners open entering Bouley calls to mind the original restaurant, but it is clear that time, travel and experience have only enhanced the skills of a master. At Bouley, Chef David continues to transport diners to new and exciting culinary heights. The Chef’s Pass, a private dining room seating 8-12 opened in November 2011. Allowing David to demonstrate firsthand how he assembles his dishes, the Chef’s Pass also gives him the opportunity to introduce his guests via Skype to purveyors and artisanal masters who inspire him. Brushstroke, in collaboration with Tsuji Culinary Institute, opened in April of 2011. Awarded a Michelin Star in its first year and listed in GQ’s list of the ten best restaurants in America, the restaurant continues the Bouley tradition of sharing, education, and creating dishes for better health. Bouley Restaurant at 163 Duane Street is now on an daily service intermission and available exclusively for Private Dining and Special Events through early 2018. While we look forward to a future focus on health and nutrient density at our next location, the current location of Bouley at 163 Duane Street is now available exclusively for private events from 6 to 150 guests through early 2018. Updates regarding the next Bouley at 17 Harrison Street, lunch service at Bouley Botanical and our latest concept – B at Home – are forthcoming. Our Brushstroke Restaurant and Private Events Spaces Bouley Botanical and Bouley Test Kitchen will remain open and will be further enhanced for your next exciting celebration! Chef Bouley will engage in a deep study of the relationship between health and food during this period, taking Nutrition classes in Japan, the United States and Europe. He will travel to Japan, Peru, Cuba and Switzerland to consult with renowned experts and learn further about the science of nature and the healing science of whole foods. How will his efforts reach beyond his diners at Bouley? Recently, Chef Bouley took one class within the Harvard Executive MBA program as a visitor and found it compelling. He believes that in this environment he will find solutions as a Chef to reinvent the business machine that is our national food system. He is already working towards this via his longstanding partnership with Wegmans Food Stores directly with owner Danny Wegman. He is proud to be associated with Danny Wegman and his talented team, who are already striving to make this ideal come to life. What is the vision for the new Bouley Restaurant once it reopens? Whereas the current Bouley accommodates around 120 guests, our new Bouley will be just 20 or so seats! The new Bouley will tailor guests’ menus to their specific needs and will be designed to optimize the healing power of food. He will create a healthier formula of eating. It will not be a “health clinic”, but rather a restaurant of high standards, romantic and sensual in every detail. Supreme culinary excellence through ingredients and techniques will be the focus. The true value will lie in educating the diner in terms of why and what we chose to offer that evening, and how they can employ our choices into their lifestyle outside the restaurant through small of gifts of our healthy Building Blocks. As well, his connections within the health industry will contribute to their personal health benefits. What other exciting new concepts can we expect? We are delighted to announce Bouley at Home, a concept designed in collaboration with Bulthaup kitchen design. The comfort and familiarity of “kitchen counters” will serve as the dining space. There will be wine corresponding to various Bulthaup counters, to offer the guest corresponding food pairings. You will be able to learn how to execute Chef Bouley’s “building blocks” while enjoying the powers of food matched to its wine. There will also be hands-on cooking classes with Chefs and Doctors, and cooking classes with professional Chefs. This will give our audience the confidence to see professional cooks using “domestic kitchens”. Simple execution and the power of the Living Pantry will be the focus, as well as the topic of his highly-anticipated forthcoming cookbook!